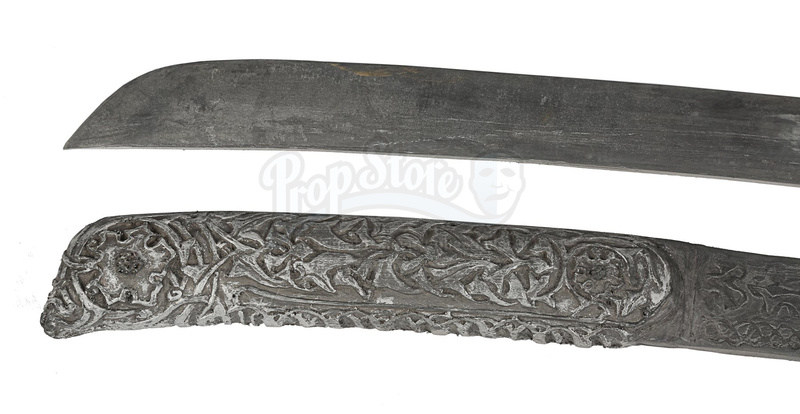 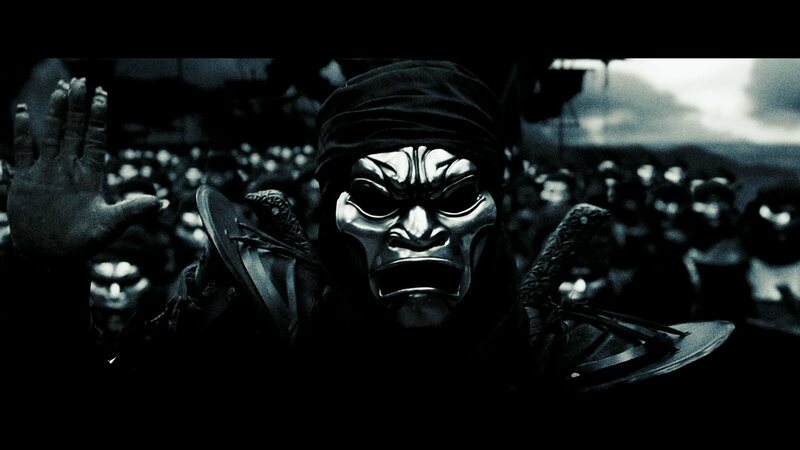 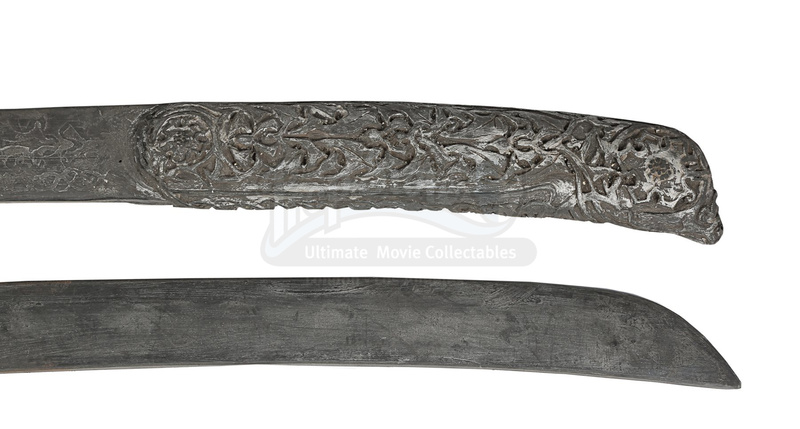 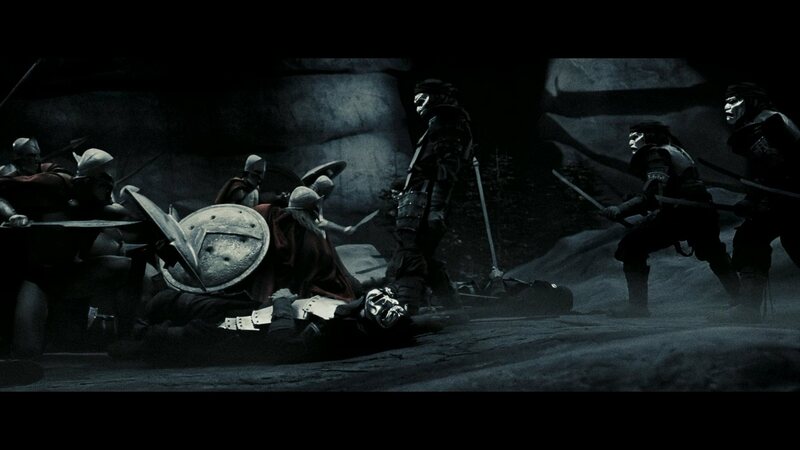 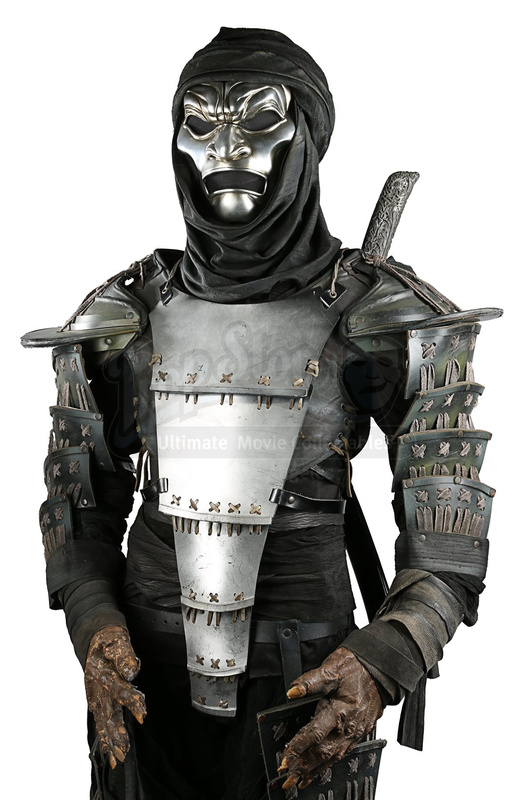 An Immortal Warrior costume from Zack Snyder’s swords-and-sandals action film 300. 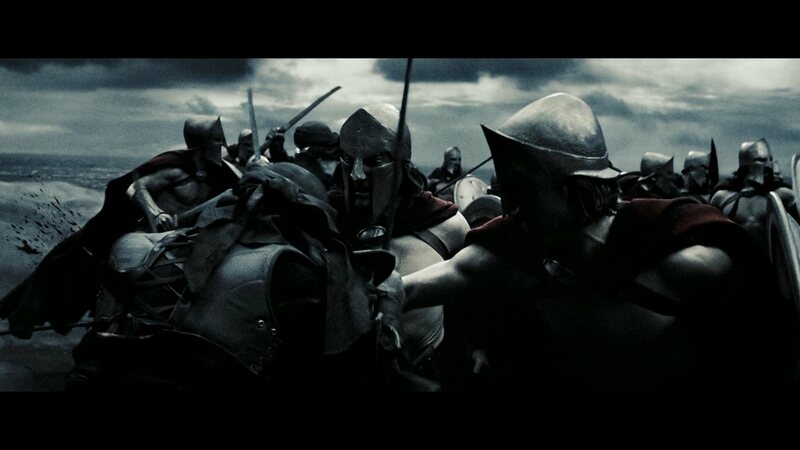 Xerxes’ (Rodrigo Santoro) elite Persian warriors wore their costumes during the epic battle scenes in which they fought the Spartans. 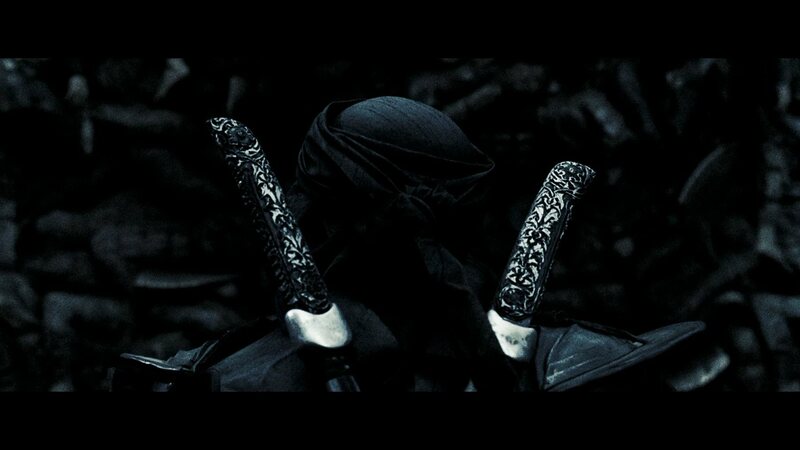 Multiple layers create the warriors’ signature attire. 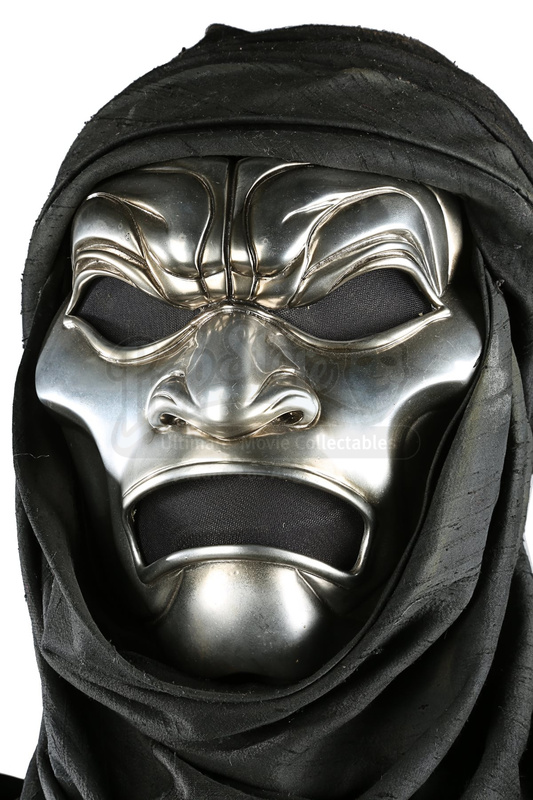 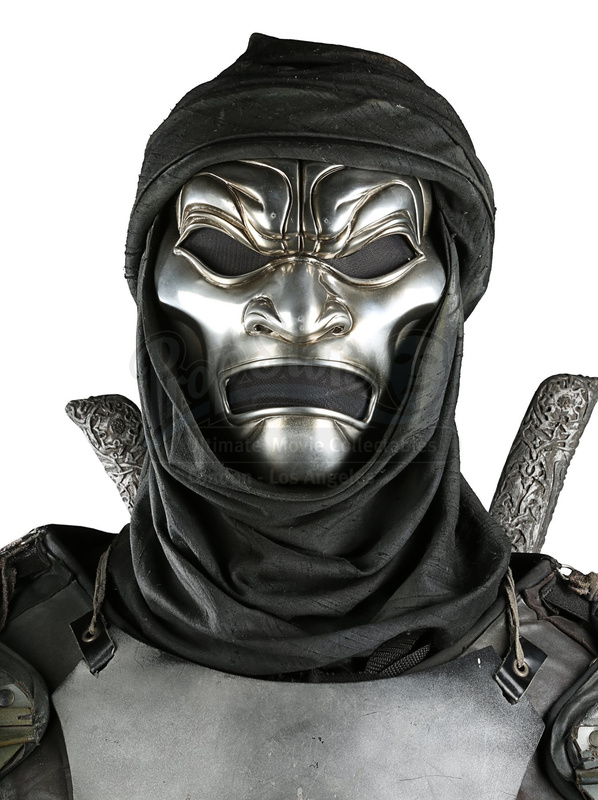 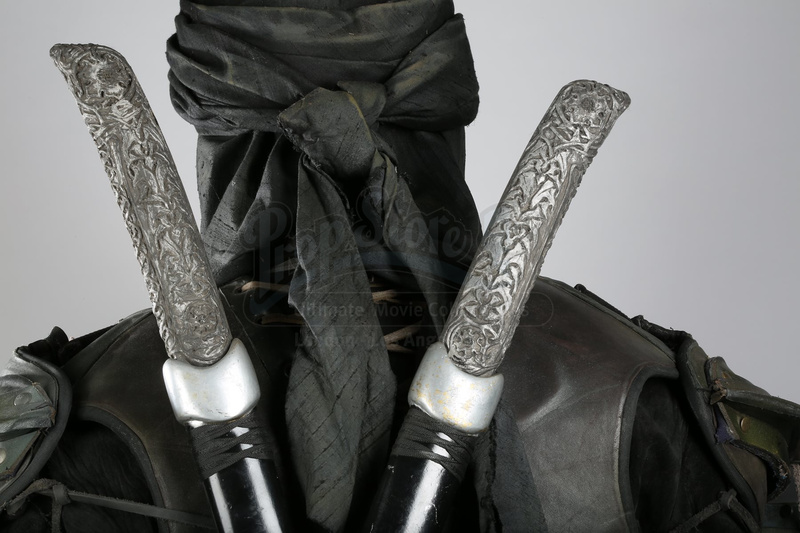 The upper part of the costume consists of a black cotton hood and a silver-coloured, chromed fibreglass mask. 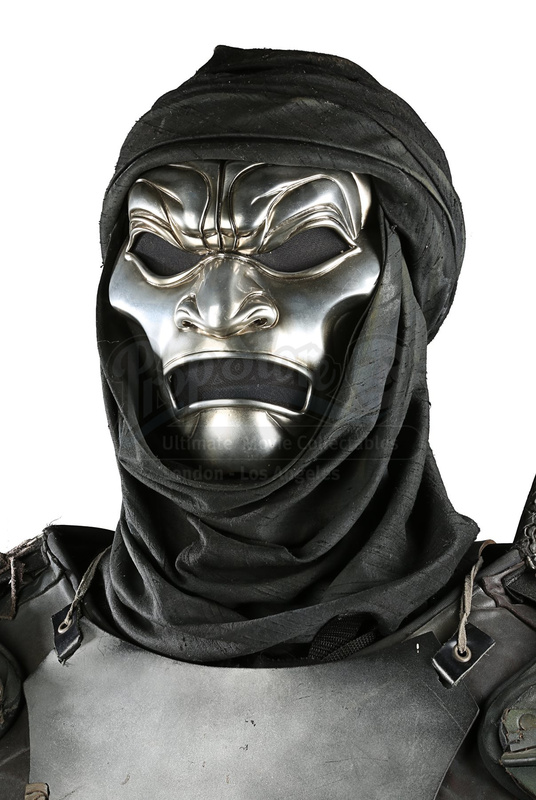 Mesh has been applied to the inside to disguise the wearer’s face. 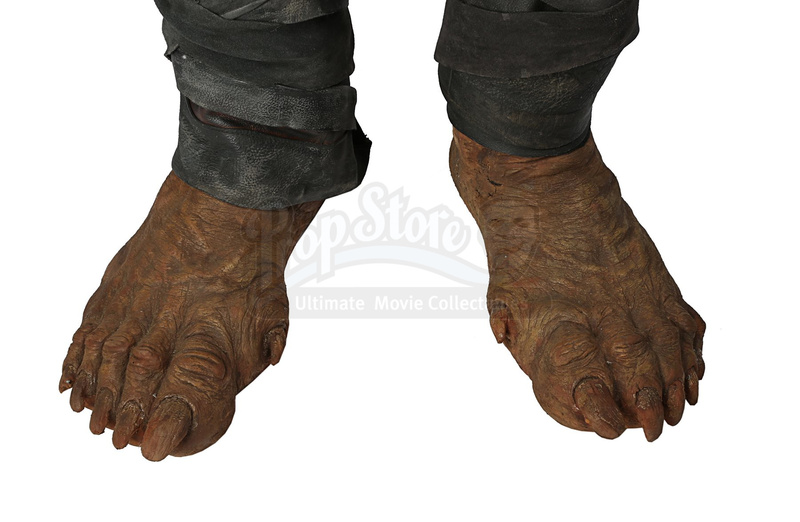 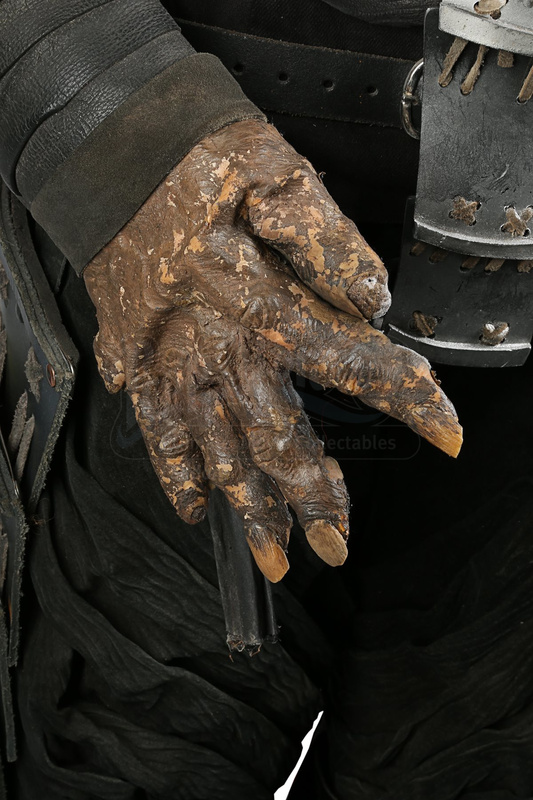 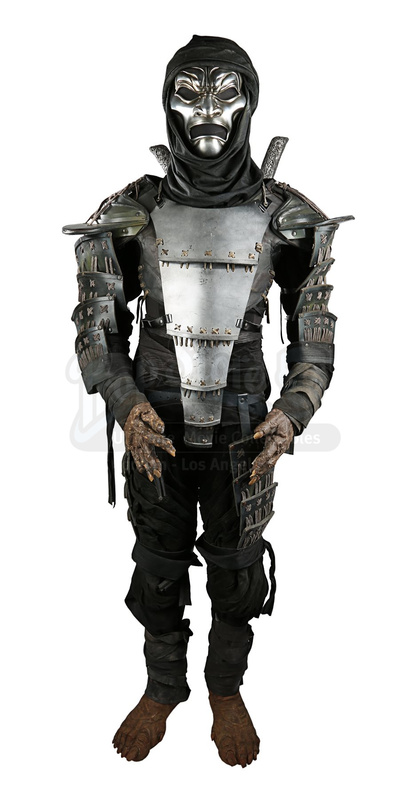 The under layer of the costume consists of a neck piece, a suede-like sleeved top, a leather padded chest piece, a pair of trousers, a sash around the waist and prosthetic foam-latex hands and feet. 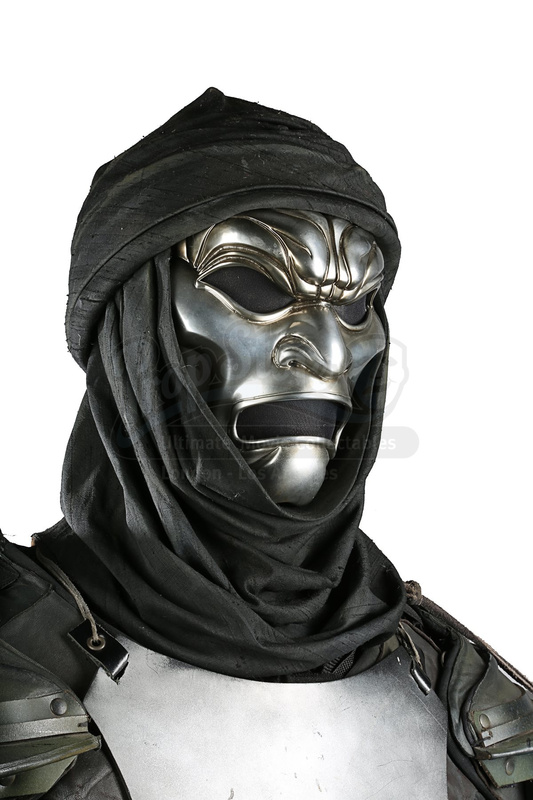 “AW, 3” is written on the inside of the mask, the text “Benoit Dufour” features on the sash and the jumper is labelled “Jon Eusebio, 40/s”. 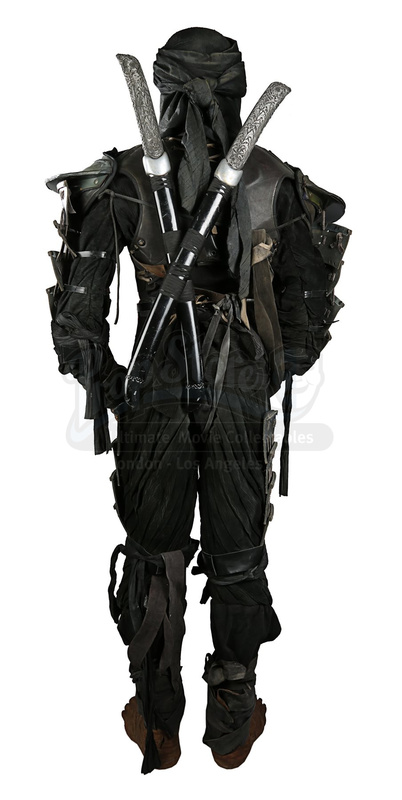 Layered armour pieces cover the shoulders, arms, chest and outer legs, all made from a combination of plastic and rubber with a black leather trim and decorative brown suede-like cord. 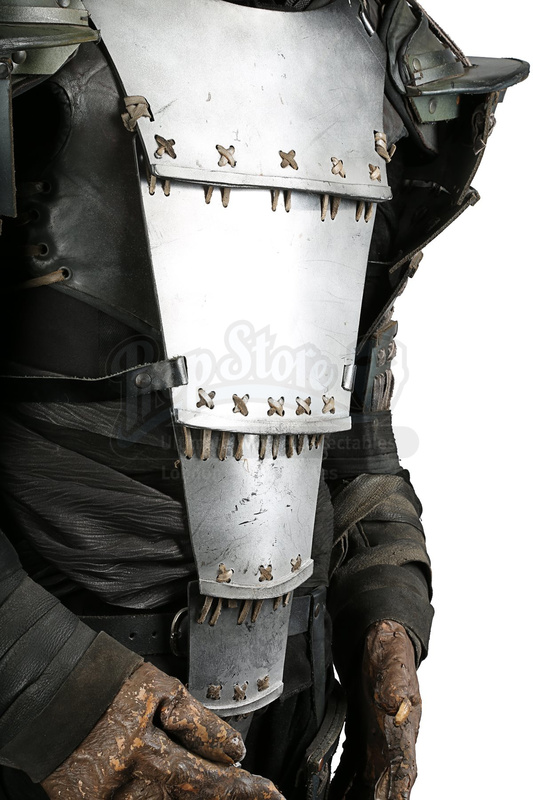 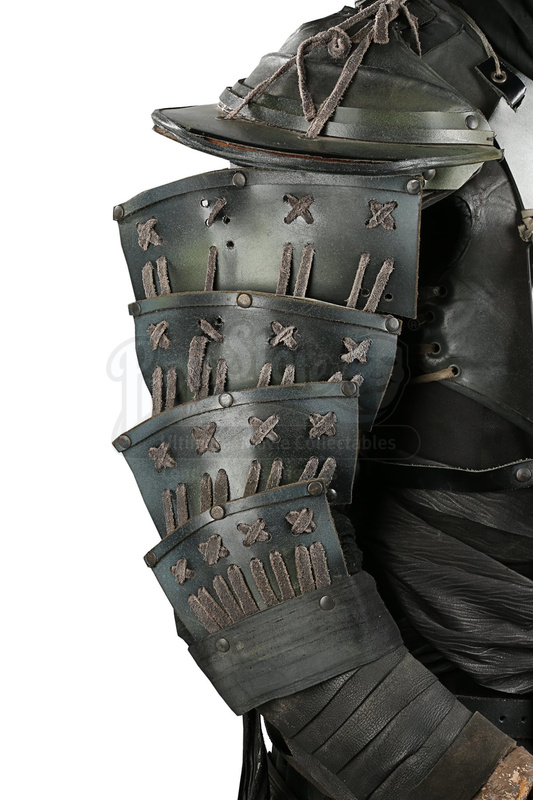 Leather straps have been attached, allowing the armour to be fixed to the under layer of the costume. 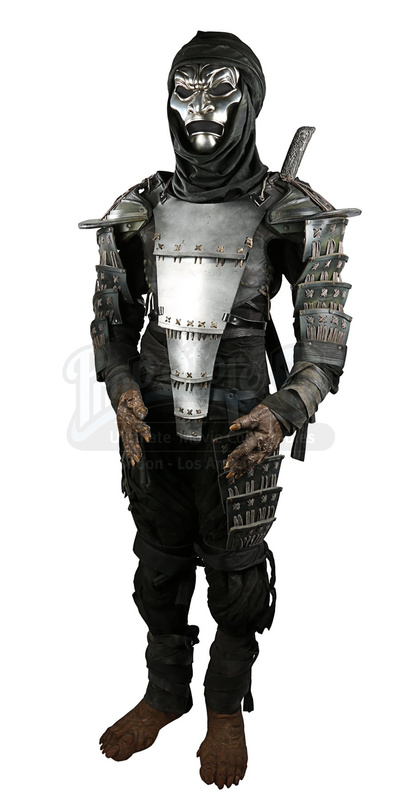 Multiple components of the armour are labelled “Jon Eusebio”, a stuntman who worked on the production.